With Easter just around the corner, we’re revisiting a First Tier Tribunal (FTT) case from last year that left Kinnerton Confectionery Limited with an eggstraordinary VAT assessment for over a quarter of a million pounds (£258,470). Kinnerton had computed VAT on the basis that their allergen-free dark chocolate was cooking chocolate, making it ‘food’ rather than a ‘luxury’ and therefore zero-rated for VAT purposes. 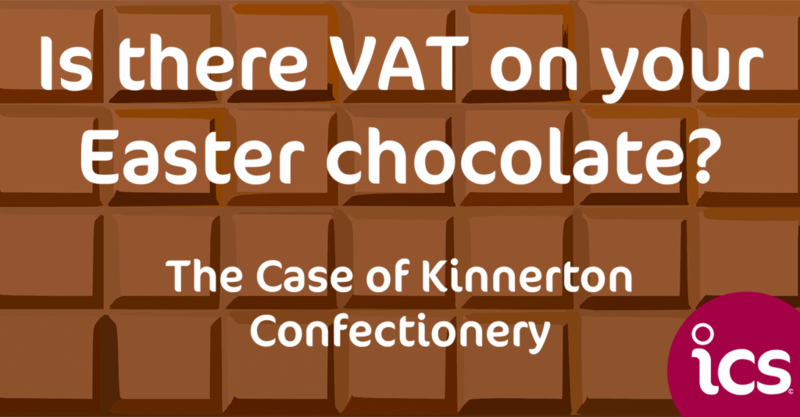 Kinnerton argued that it was in the public interest for it to be zero-rated so that those that cannot consume normal chocolate were not disadvantaged by VAT. The FTT dismissed the argument on the basis those people were at no disadvantage. They also set out that Kinnerton could make allergen-free chocolate specifically for baking and that would be zero-rated for VAT purposes. Maggie Lawson, Head of Finance at ICS, says “This case shows the importance of a business seeking professional advice from the outset or whenever the business changes direction”. Full details of the tribunal decision can be found here.